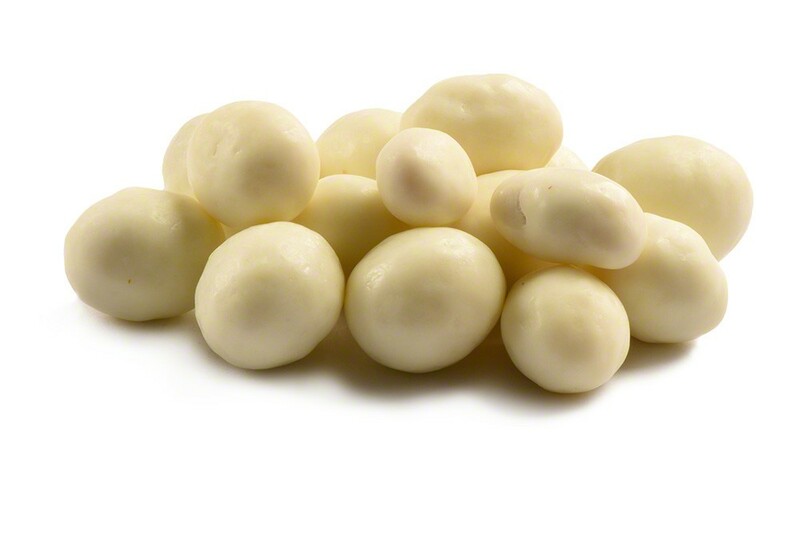 Our yogurt covered peanuts have multiple layers of a delicious yogurt covering poured over them. In addition to the burst of crunchiness you experience from the peanuts, you'll also discover a gentle crispness when you bite into the layers of yogurt. This is a flavorful, healthy treat for kids and adults to enjoy as a snack or lunch bag item. Yogurt Coating (Sugar Partially Hydrogenated Palm Kernel Oil, Non-Fat Dry Yogurt (Nonfat Dry Milk And Yogurt Culture) Soy Lecithin (An Emulsifier) Salt, Pure Vanilla) Peanuts, Gum Arabic, Corn Syrup, Sugar and Certified Confectioners Glaze. Oh these are great! That yummy peanut taste, mingling with that sweet creamy yogurt. Delightful, might be a good word to describe this treat. Heavenly could work too. All I can really tell is, if there’s only one left – IT’S MINE! Go get your own, heck yeah I’m being selfish, these are too good and they’re all mine! good mild taste and fresh! These were delicious; I will be buying again. Love them !Nice and juicy!